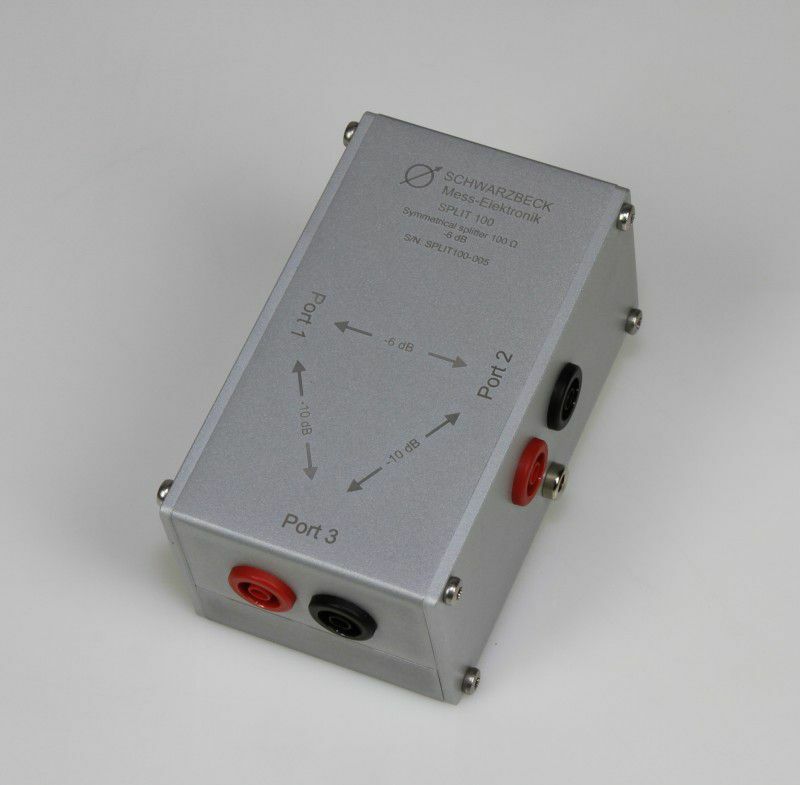 SPLIT 100 is a resistive, symmetrical two port splitter with an impedance of 100 Ω. It is part of the measurement setup according to EN 50561-1:2012 which is explained in chapter 9.2. Figure 4 shows the measurement setup.